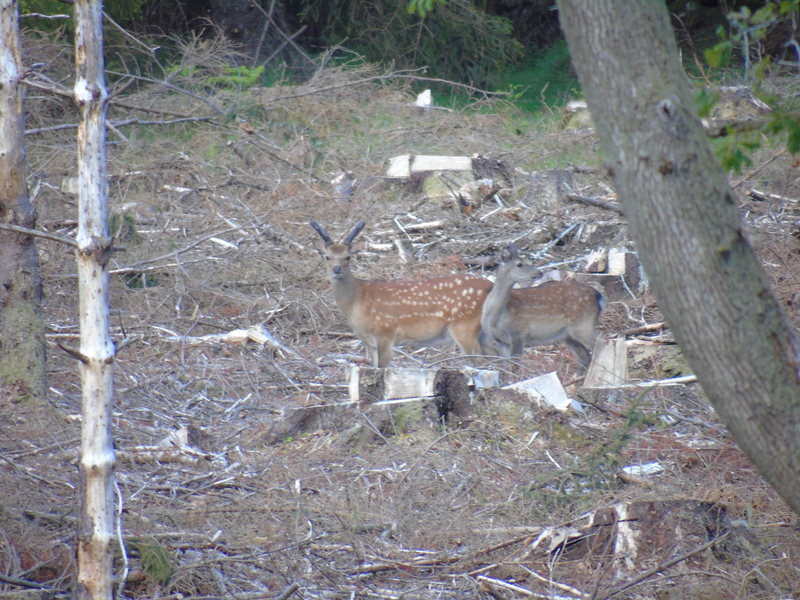 A total of 30 deer were removed from an area covered by DEDs Z133 and Z139 in Wicklow East during March and April, 2015. This report contains data on these 30 deer and is in addition to the data on the initial 103 deer removed in the October to January period that was reported on previously (8th. May, 2015). The 30 deer were shot by a licensed deer hunter (HCAP) and entire carcases of all deer were examined. The carcases and viscera were chilled prior to transport to the Central Veterinary Research Laboratory (CVRL) and in general were delivered within 24 hours of harvest. Carcase examinations were all performed by the same pathologist. Of the 30 deer, 6 were Fallow and 24 Sika, and 17 were Males ( 56.66%) and 13 were females (43.34%). The mean age of these deer was 4.9 years (median 4.9 years, range 2 to 8 years). Of the 30 deer examined, no evidence of M. bovis was found in 23 carcases. An interim result of the detailed necropsies where evidence of M .bovis was found is presented in Table1. The results are ordered such that they approximate to the evaluated risk of each animal being infective to other animals. The complete results contain details of sites of culture positives will be updated when the full set of sites where tissue was culture positive is available. The data in the table is categorised into the same three broad categories as was used previously, by colour. The data coloured red are the results of the 4 animals that had gross lesions (13.3%). These deer showed evidence of being tuberculous and were likely to be a source of infection to other animals that they intermingled with. The next categories, coloured orange (1 animals), and grey (2 animals), are currently an estimate, but are culture positive though the exact sites have yet to be confirmed. These are animals that likely represent a low risk of being capable of infecting other animals. These data relate to a sample of deer removed from farms in 2 DEDs that had serious TB problems in cattle in the recent past. The area is east of the pervious are reported on which was north of Roundwood and south of the Sugar Loaf mountain. As before, these deer represent part of a localised animal population within which there were relatively high numbers of other animals infected with TB (cattle and badgers). The results of this sample describe what was found in the 30 animals from the 2DEDs concerned and can’t be used to infer prevalence estimates of TB in deer in this or in any other area because the sample was collected from specific farms within the 2DEDs only and is therefore not representative of all the land in the locality. The necropsy and culturing methodology was unique in that a single person collected all the samples and a wide range of samples were collected for culture. The sites of the culture positive tissues will be reported on when these become available. A full report on all 133 animals is being prepared by colleagues in the CVRL when all culture results are to hand. Strain typing has yet to be undertaken and samples have also been examined from badgers and cattle sourced from the same areas.